In the real world of work, it’s impossible for you to depend solely on your degree / diploma or relevant technical qualifications to succeed and thrive, because to secure and progress in a career, it takes a whole range of non-technical skills on top of the technical qualifications. Technical qualifications count but a great career requires skills that reach beyond them. Whether it is personal effectiveness, soft skills and social etiquette or IT skills, the relevant career skills can be a crucial factor that accelerates or slows down your career progress. 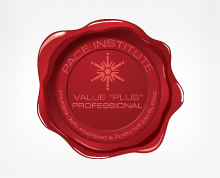 At PACE Institute, we believe in equipping you with these essential competencies to guide you into a brighter future and an exceptional career. Hence, we offer you ‘Certification in Career Skills’ course specially designed for school leavers, job seekers and young professionals and are also organizing this FREE Opening Session on the course. Taught by a panel of professionals and experts in life and career guidance, this session will inspire you to stand out from the crowd and get more employable.